Apache Spark is an open-source cluster computing framework originally developed in the AMPLab at UC Berkeley. In contrast to Hadoop‘s two-stage disk-based MapReduce paradigm, Spark’s in-memory primitives provide performance up to 100 times faster for certain applications. Step 2: Check all hadoop daemons are up running. 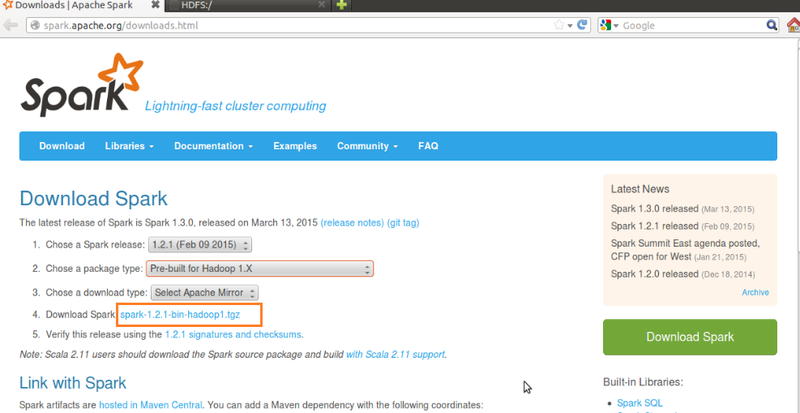 Step 4: Download apache spark for hadoop 1x or 2x based on you hadoop installed version in step 1. 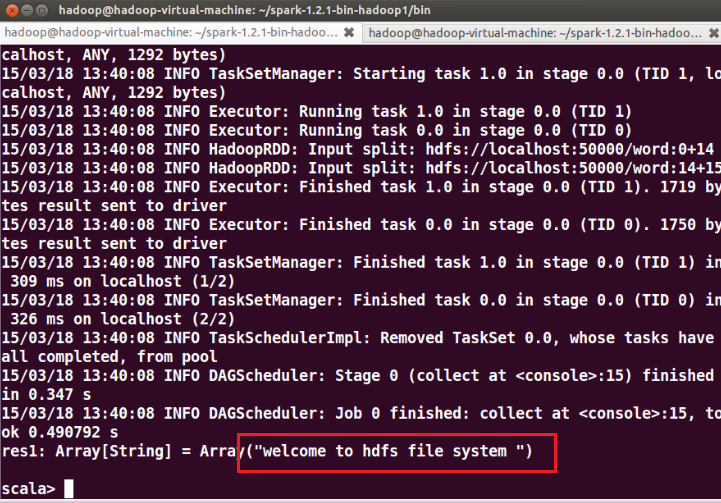 Step 5: Untar the spark hadoop file. 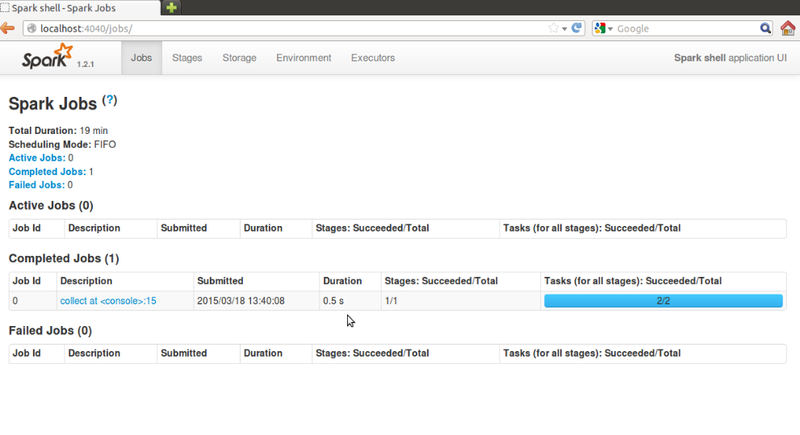 Step 6: Start the spark hadoop shell. Step 8: See the Out put In terminal. Need a Tip of the day ?